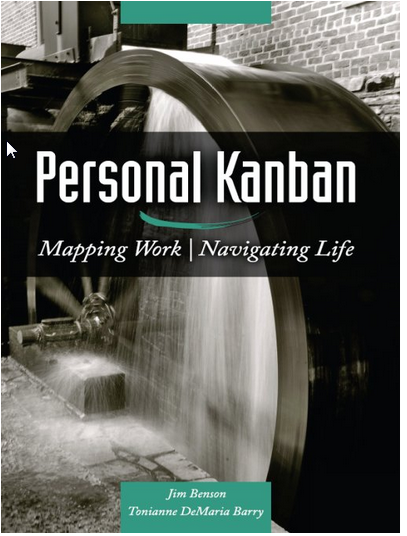 Personal Kanban Mapping work | Navigating Life by Jim Benson and Torianne DeMaria Berry. i have an interest in lean or agile development , be cause it gives great opportunities for making improvments in a place where you don’t have fixed processes. Kanban is one of the principles related to ie scrum. It is a little different how you are visulatizing the data. Personal Kanban is about visualizing the work you are doing so you are able to handle it. I think the kanban part is really important because it gives some great options for users. This is normally done on a board of some part. An important part is to limit your Work in progress (WIP). This is all the task that you are currently working on in any way. If you can reduce the number of distinct items you are working on at any one point you have more mental capacity and it will be easier to handle the different work items. With the visualisation you will be able to see what your throughput is and how long time it takes to handle any one task. We are dealing with the real world, so it is not always that we are able to block everything off and just work on what we want. A good example is now when I was just interrupted by a Text message that I choose to react to. It could be import, but it was not. Personally we often get stuck in the state over complication, where we make everything way to complicated to handle. The goal is to have task that are pulled, where you as a person decide which one to use. Push is just to take the first thing in the inbox and react on it. A list programmer is most often superior because they take the time to know why they are building the software in the first place. This gives some clarity and makes it more compelling to workon. I guess that it is something like building a wall or a cathedral. The clarity helps with giving growth. I you cannot see the work it is uncontrolled and we should never do more work than we can handle. I guess that it is an important part that we are able to know what we can do and not do more. Currently I think I have too many tasks on that I’m working on to be successful with it. I know that it is difficult to say no to projects whey they are there and you think it is good for you. 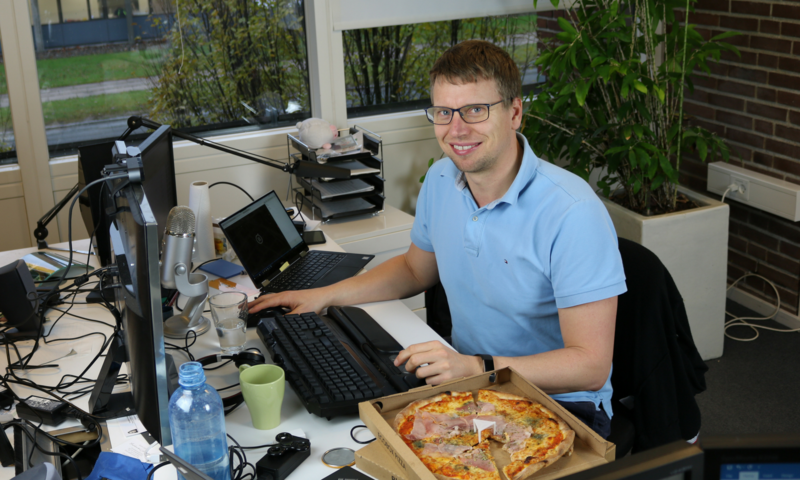 The last thing is the POMODORO principle where you are focusing on some work for 25 minutes and then take 5 mintus of. This will help build your focus and make sure that you can get much longer in your progress. It is a really difficult discipline to use and it requires a lot of self control. It is so nice and much easier to work on other peoples projects than our own. I’m currently reading about how to use normal Kanban in product development. I did like the book it gave an overview of what kanban is about and the importace of stopping with all the work that you are doing.